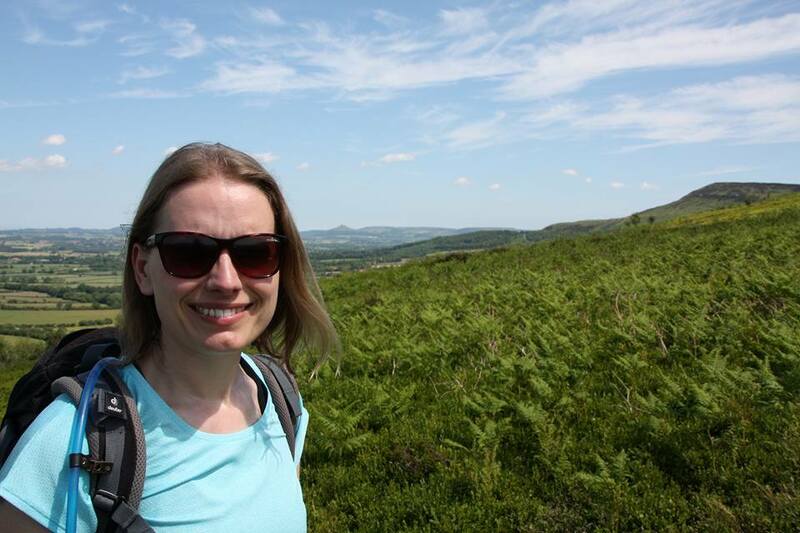 On Saturday, along with my husband Jon, I set off on the Cleveland Way and what a beautiful start we had! 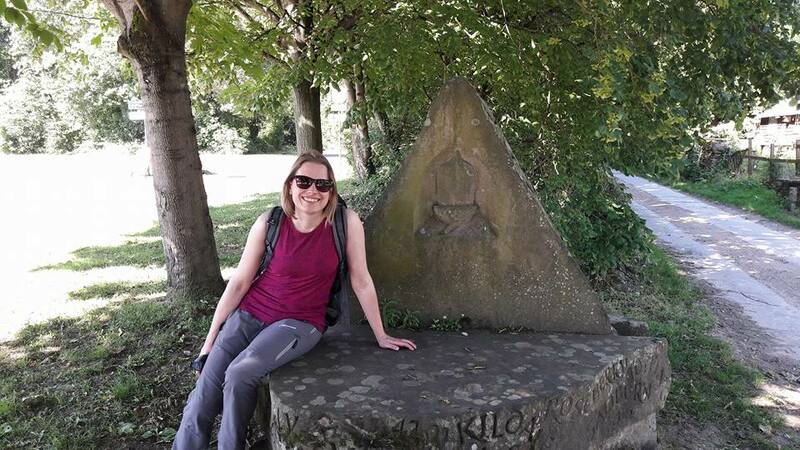 We began our 109 mile journey in the picturesque market town of Helmsley, After a lovely breakfast at our B&B we were on our way, with around 11 miles to walk to the evening’s stop in Kilburn. 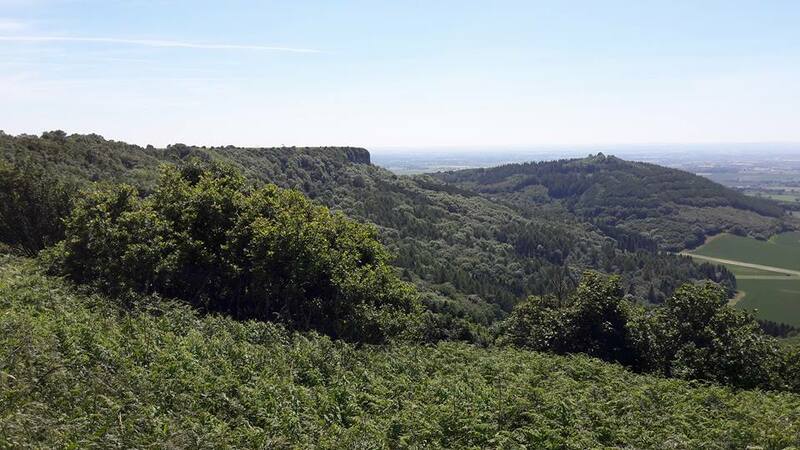 The scenery and interest was varied with a mixture of secluded woodland, rolling farmland and, later in the day, far reaching views from Sutton Bank as we walked around the cliffs of Roulston Scar, watching the gliders from the local gliding club soaring high above. 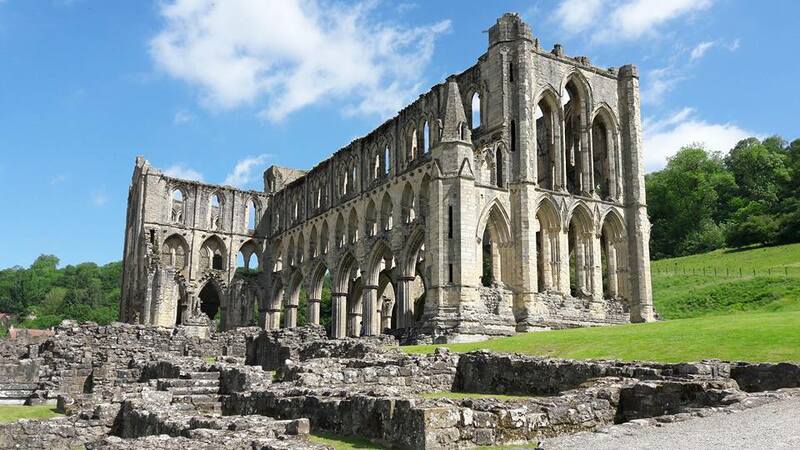 One of the highlights was the short detour to the ruins of Rievaulx Abbey, the 12th century Cistercian monastery, which was well worth the extra mile of walking. 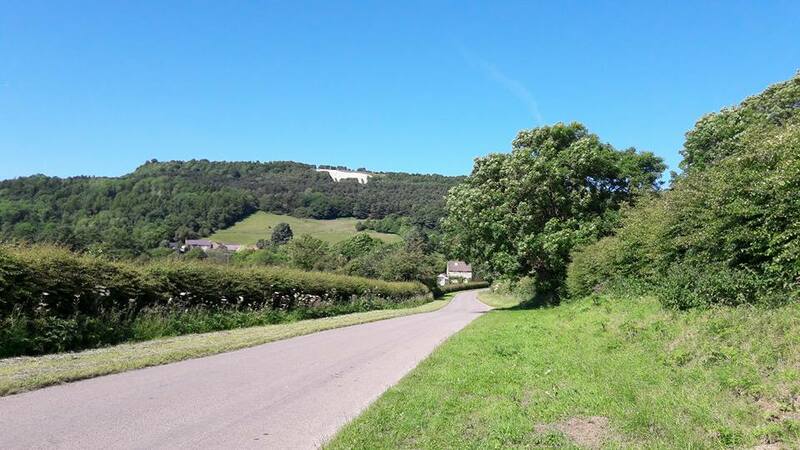 The final part of our walk brought us down from Sutton Bank to the pretty village of Kilburn, giving us a great view of the famous white horse cut into the hillside, before we arrived at our resting place for the evening. Monday saw Jon and I walk from Osmotherley to Clay Bank. 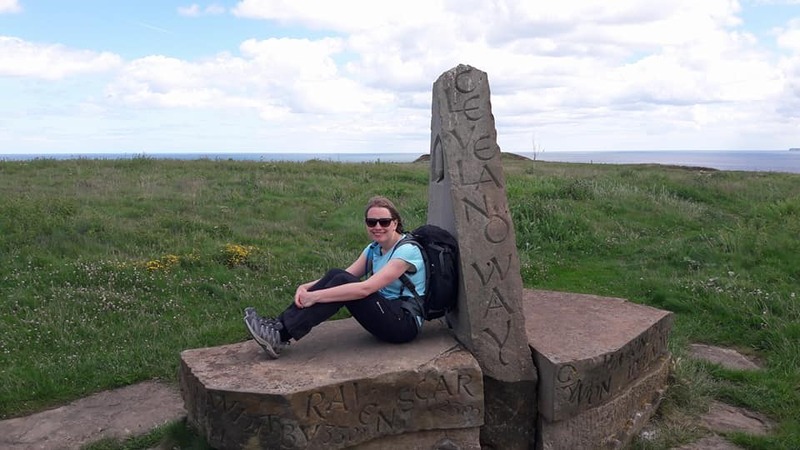 Much of this section of the Cleveland Way National Trail also forms part of Alfred Wainwright’s Coast to Coast as well as the Lyke Wake Walk, both of which are walked by thousands of people every year. Perhaps surprising then, that despite the number of people out there, the paths are quiet. For much of the day we had the amazing scenery to ourselves with only the pitched paths giving any sign of the number of boots that frequent these trails year on year. Our guide book described today as the most strenuous of the whole walk, and there was a fair amount of ascent and descent, 3500ft in total, but all in fairly short bursts, so it was perfectly manageable and added plenty of interest to the walk. Carlton Moor provided a great view for a lunch break before we continued along the path, eventually reaching the Wainstones towards the end of the day, a well known climbing spot, but thankfully there is an easy way through! Overall a brilliant day. 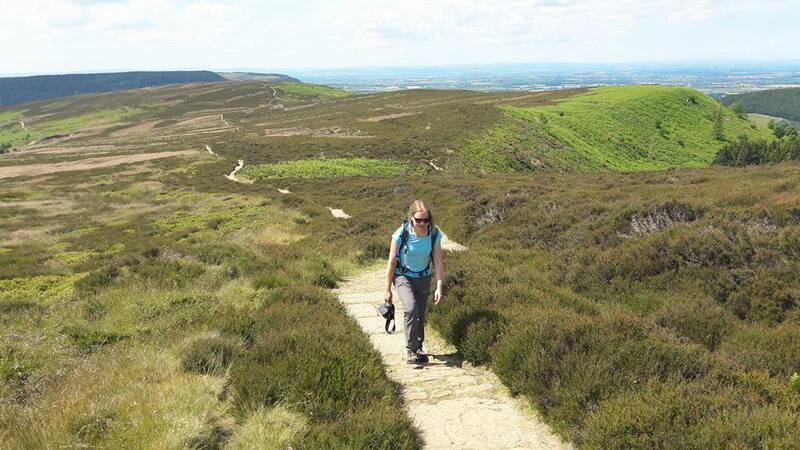 I think my favourite to that point and it certainly had me looking forward to the next stretch to Great Ayton. 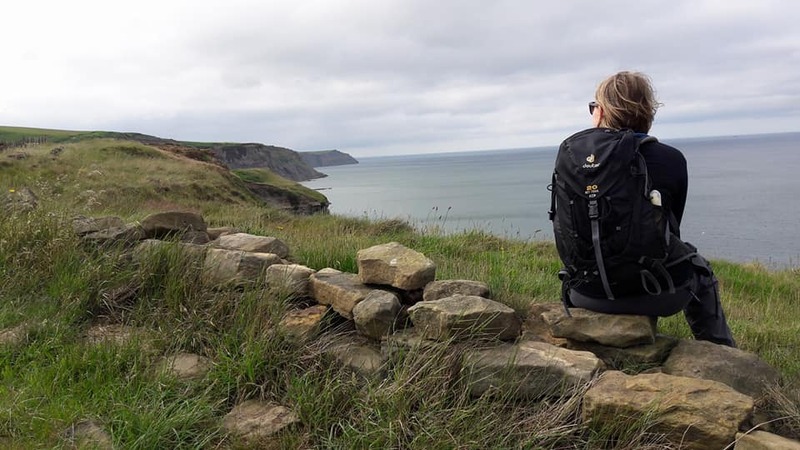 A little imagination was required yesterday morning to visualise what the coastal scenery on the Cleveland Way might look like on a fine day, when we were faced with some prolonged spells of rain. Fortunately things brightened up a little by the time we reached the pretty fishing village of Staithes, a lovely spot for some lunch and a piece of the local coble cake, named after the fishing boats or ‘cobles’, and the perfect energy boost to spur us on to Runswick Bay, our destination for the evening. 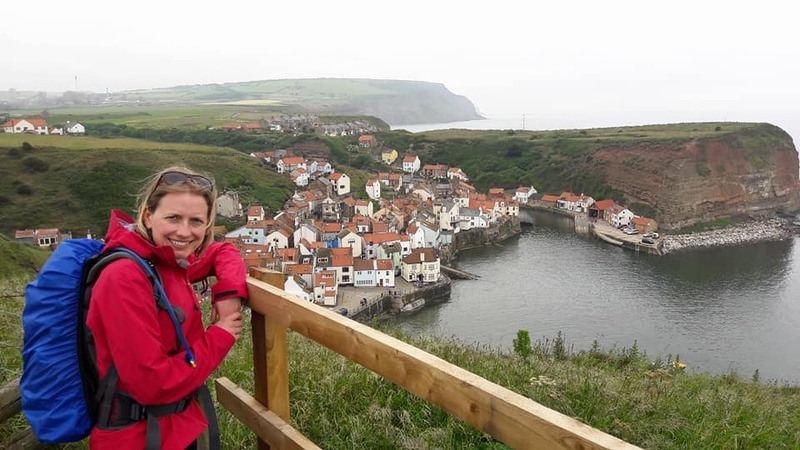 Above the picturesque fishing village of Staithes. 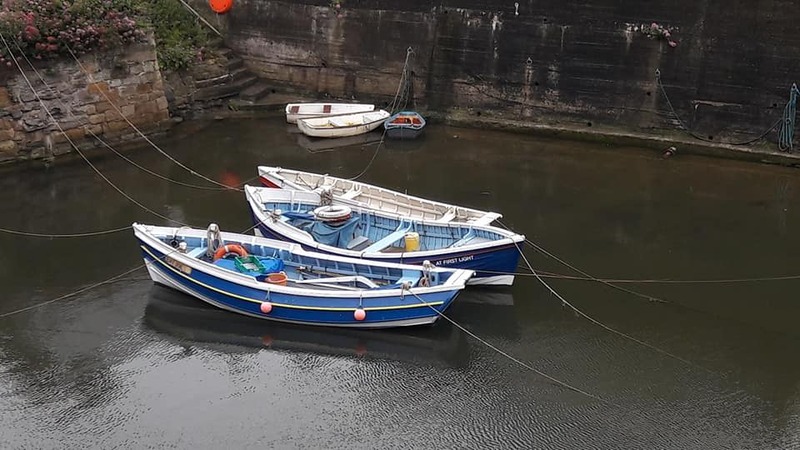 With it’s fishing boats known locally as cobles. I can highly recommend the local coble cake. I’ve heard it said that the terms ‘walking’ and ‘holiday’ don’t go together but I hope most of our clients and followers on social media disagree with that as much as I do! 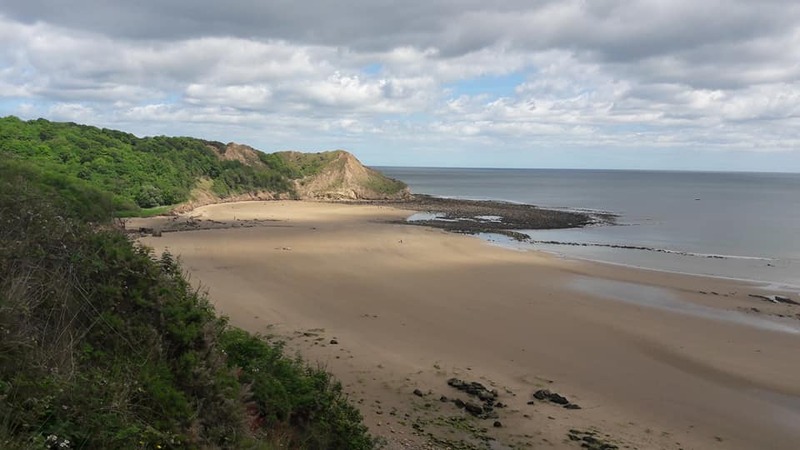 My posts about the Cleveland Way have mainly concentrated on the walking and I’ve not mentioned much about the food and drink we’ve enjoyed along the way – an important part of any holiday. Friday was our longest day so far but we took our time and enjoyed all the day had to offer. 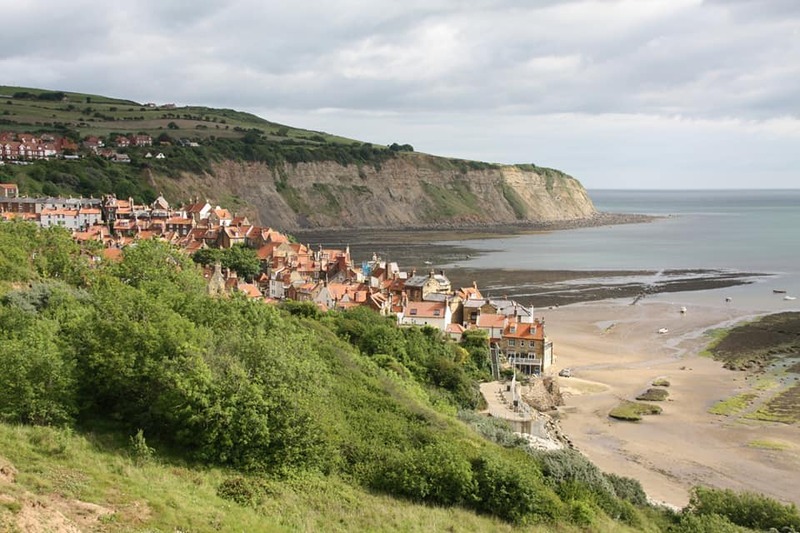 After a substantial breakfast to set us up for the day and a picnic lunch in our rucksack, we left the pretty village of Runswick Bay behind us, expecting rain. However the day remained fine and we enjoyed some lovely coastal views. 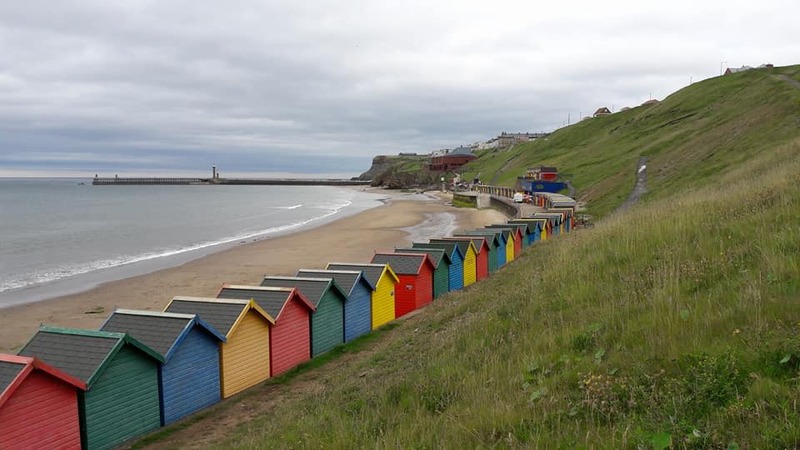 Whitby, known today for its fishing and tourism, and historically its whaling trade, was also on the route, offering a welcome coffee break midway through the day. 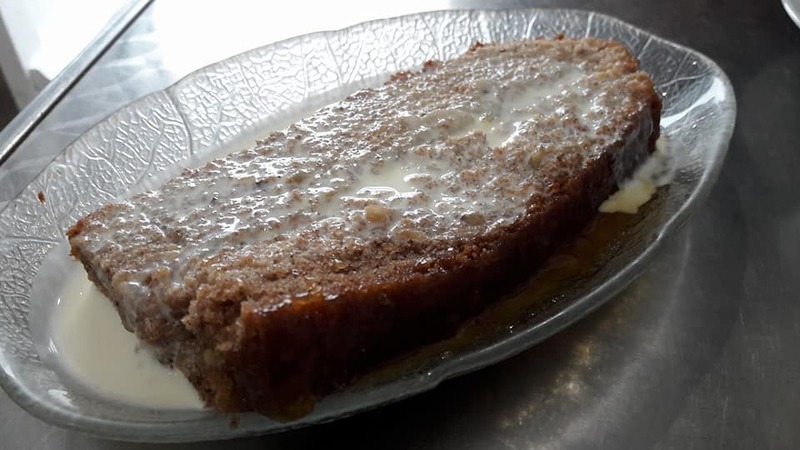 In fact, most days have offered somewhere to stop for a drink and a bite to eat part way through the day, which has been most welcome. 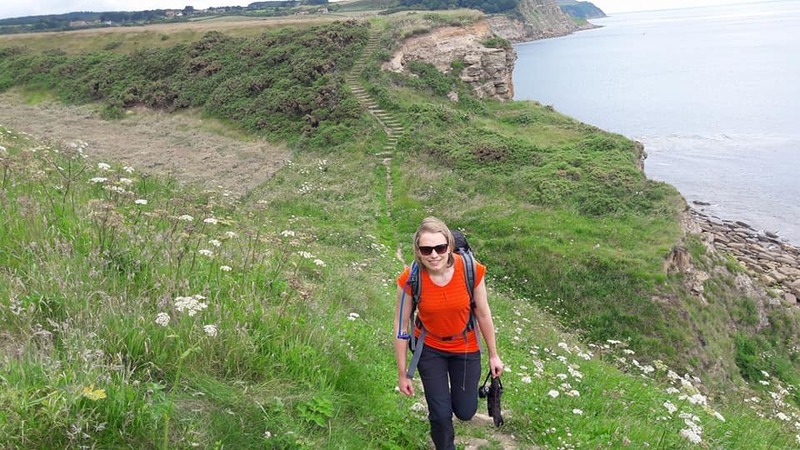 On Friday evening we reached Robin Hood’s Bay, perhaps best known as the end of the Coast to Coast walk, and somewhere I’ve been looking forward to visiting since we started walking 7 days ago. The pretty little cottages and narrow passages between them don’t disappoint, and you can imagine the smugglers bringing in their wares all those years ago! But back to the food and drink – we enjoyed a meal and a well-earned glass of wine as we looked forward to Saturday’s leg to Scarborough. Well, after walking this stretch to Scarborough I think that’s a fairly accurate way to sum it up. 17 miles recorded on the GPS and 3100ft of ascent, a reasonably challenging day I’d say. 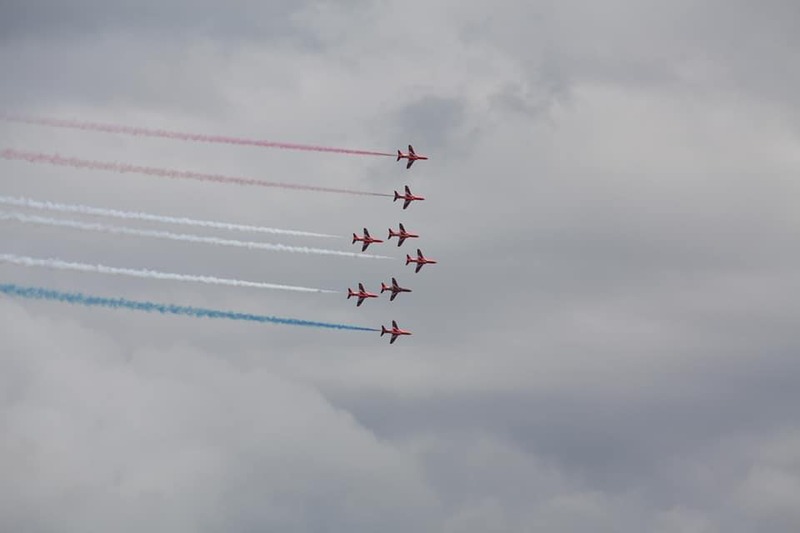 However we were treated to a fantastic display from the Red Arrows when we reached Scarborough. It was Armed Forces Day on Saturday and the town was full of life. A fabulous end to the day. We did it! 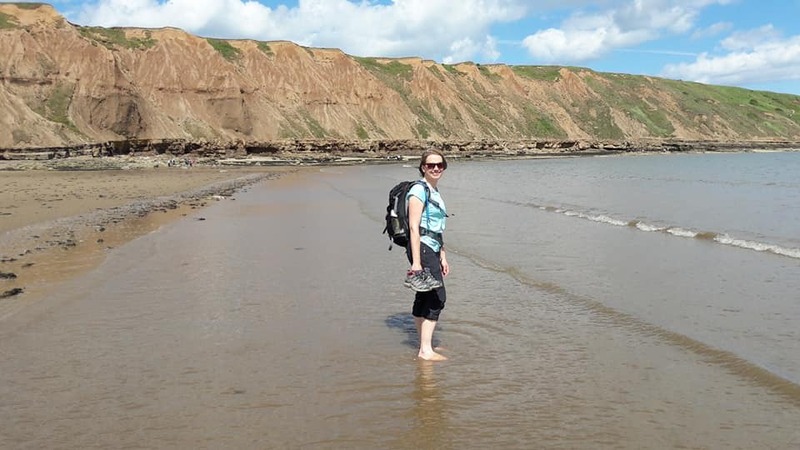 109 miles of the Cleveland Way completed, and what better way to finish off the afternoon than to enjoy the sunshine in the seaside town of Filey with a paddle in the sea. It had been a great 9 days with so much variety, challenging enough but with some easier days too, and the weather had also been kind, on the whole. 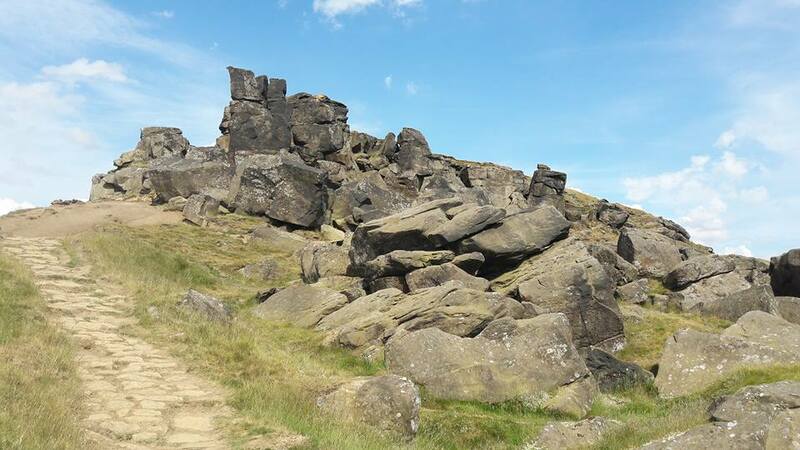 I hope my updates have given you a flavour of the route, or just brought back memories of your own holidays in this lovely part of the country. 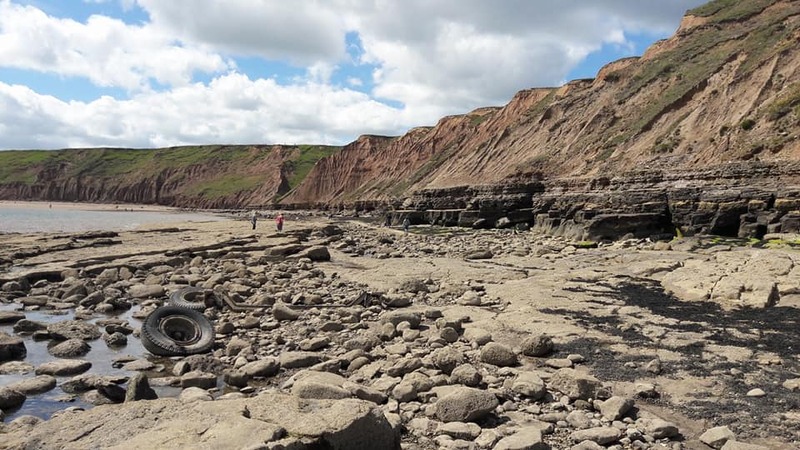 Let’s finish up with a few highlights from the final day, Scarborough to Filey. 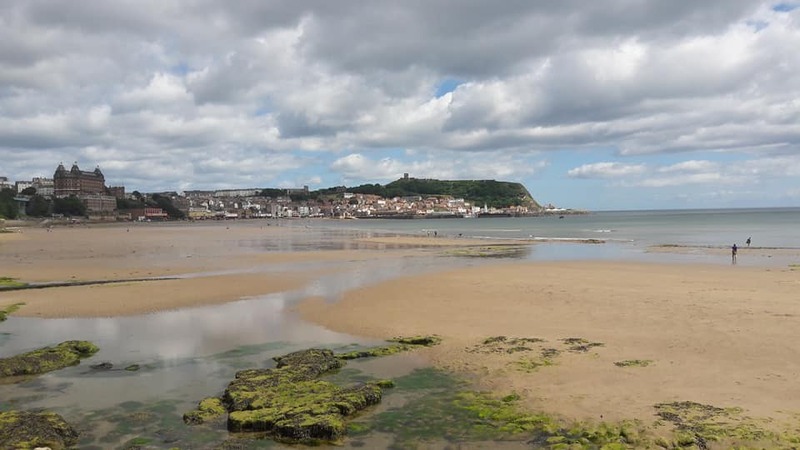 A last look back to Scarborough.